Select a industry tempate that is pre-loaded with all the features you need to give you a headstart. Customise your app, add content, images and tweak features without writing any code. We will publish your app saving you hassle and you simply manage & promote your app. 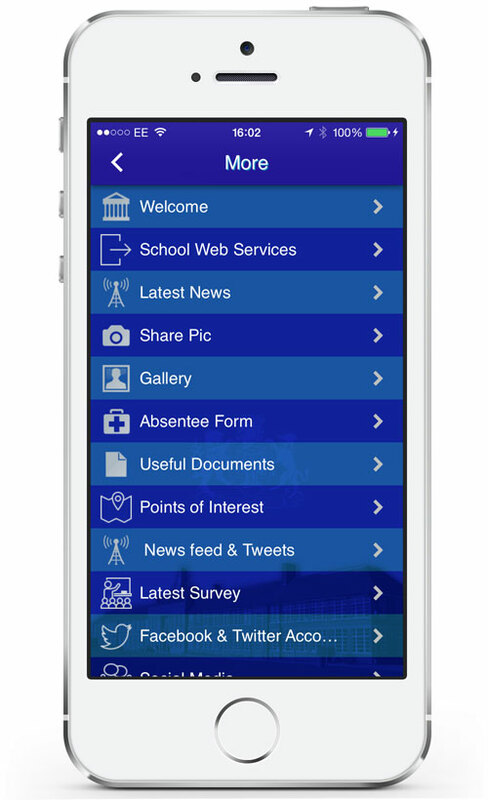 There are over 25 App features to choose from to meet the needs of any business or organisation. Push Notifications appear instantly on a mobile phone and have a 96% read rate compared to 5% with email, and are the most effective way to reach your audience. 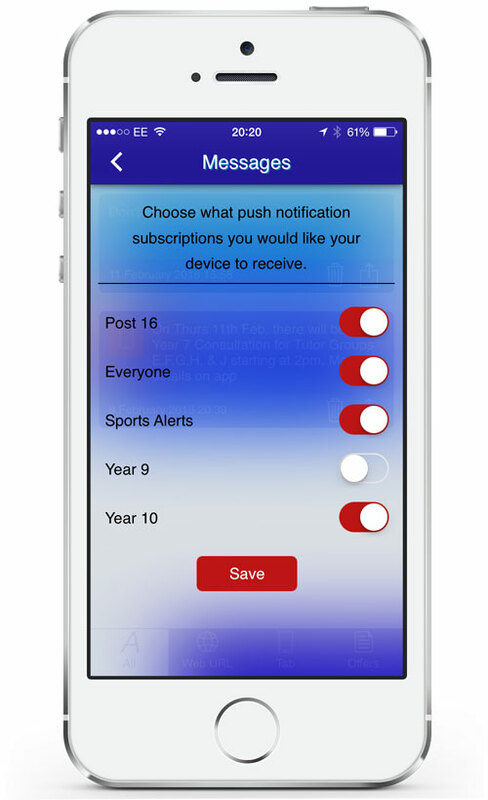 The messages tab will display a history of all notifications making it easier to refer back to past messages . 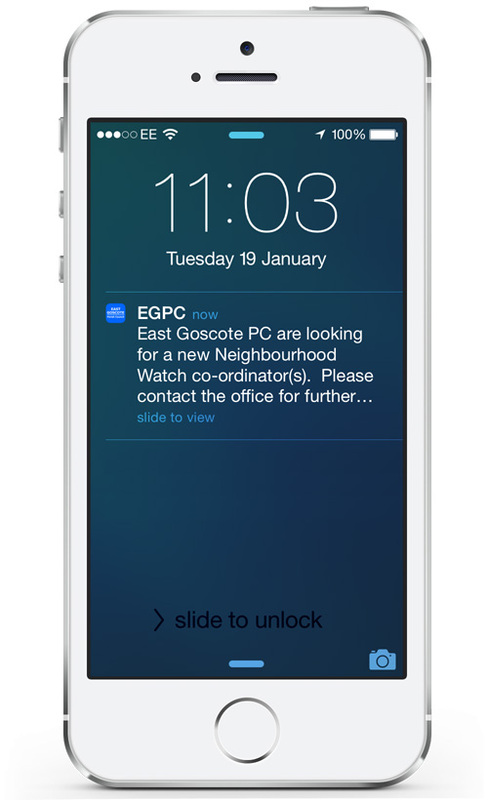 Push notifications can populate your social media with the same message. With turn-by-turn GPS directions, in-app RSVPs and comment capabilities, your event turnouts will be hitting all-time highs. It’s great for your audience to know all the forthcoming events and plan ahead. The options for this feature are endless and will suit many types of organisations. 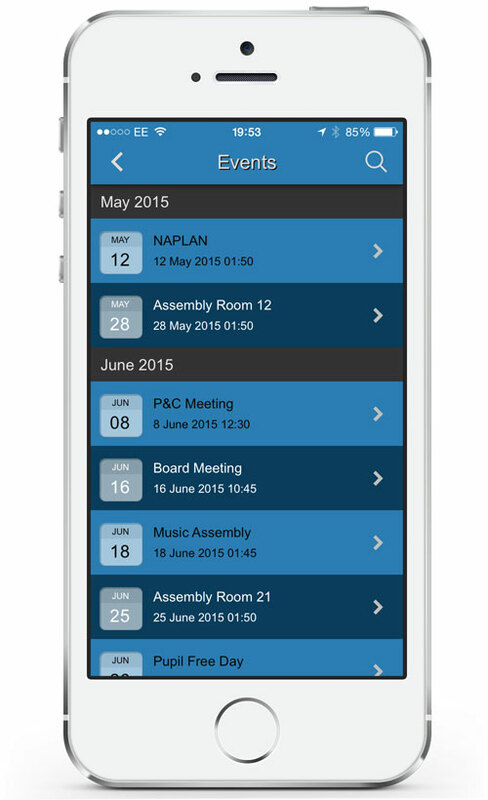 Plus it allows users to synchronise events into their mobile phone calendar. A great way to display information about your business or organisation with easy navigation compared to a website. Pack your schedule without picking up the phone. 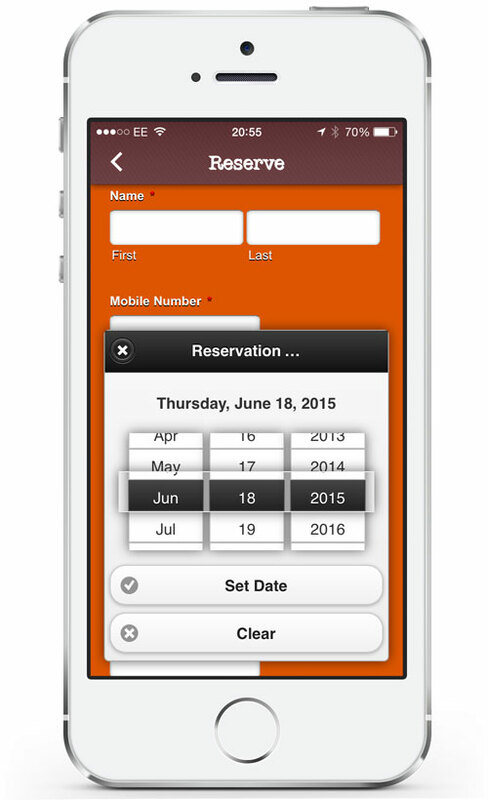 The Reservations feature lets users select an appointment date/time and make payment, cutting down on the back-and-forth and missing that vital call. No more digging around for that paper stamp-card as this clever feature allows you to stamp the app on the customers phone with a secret code. 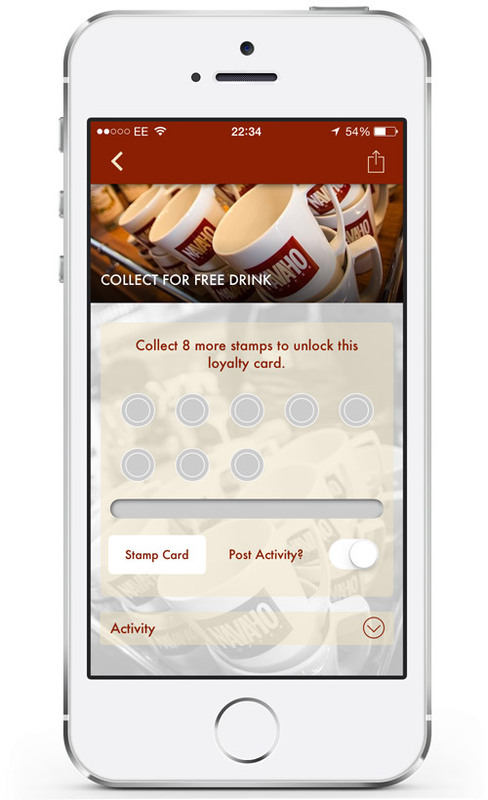 It’s far more convenient to manage than traditional loyalty cards. Rewards and Coupons have proven to increase consumer engagement and are dynamically more manageable as you can create them in an instant. Build your own app store or integrate your existing online store with this simple sales solution. Just refer to Starbuck’s experience and discover why this feature, without a doubt, is a must for any business to jump ahead of it’s competitors. Ideal for takeaways who want to offer an alternative to Just-Eat.co.uk and save money. Need a simple way to receive pictures from your community or loyal fans? With the photo feature, submissions are sent directly to your inbox. *Tip: Click the feature headings for more info. We now offer Progressive Web Apps (PWA) ! Build mobile apps easily without writing any line of code using our intuitive app maker. Easy to use drag and drop app builder. However if you dont have the time we can build your app. We also provide custom app development for complex projects. 24/7 friendly email support and access to our online helpdesk, which contains many helpful articles including video tutorials. Our UK based friendly support team offer timed telephone call backs and live on-line support when required. You will have access to your own app dashboard, allowing you to easily update any content and send out push notifications. Any changes you make to your app can be tested immediately. You can also track the performance of your app. It’s that easy! Monetise your app with a vast range of features such as coupons, loyalty cards, shopping cart, event bookings and more using our helpful guides. Promote your app to encourage installs by offering coupons, offers and the latest news by using the promotional and social sharing tools. Amazing low prices – Affordable packages for small businesses & organisations. No creeping price increases or other hidden charges. We offer a 30 day FREE trial in order for you to experience the power of the app. *Subject to Conditions. 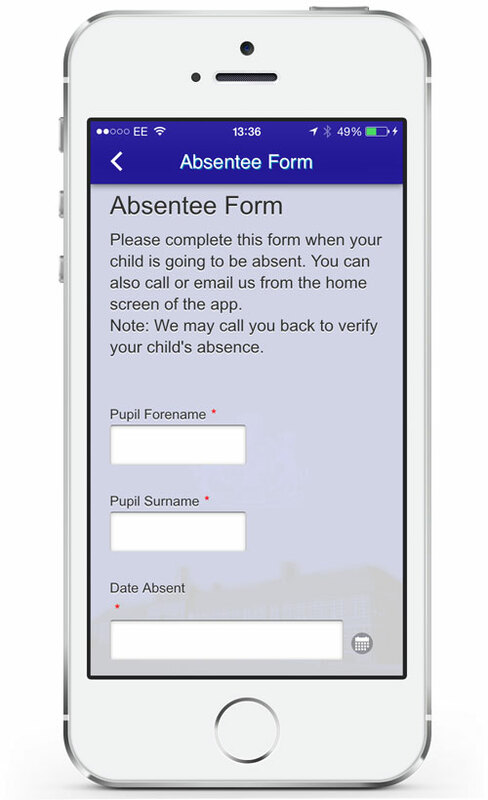 The App Office will upload and submit your app to the app stores, saving you the hassle of dealing with the publication process. We will fully manage the process of ensuring your app is accepted and approved by the app stores. "...the loyalty feature was an instant hit, the app gave the business a boost and it was a great alternatve to Just-eat.co.uk for our regular customers, its fantastic !....thanks"
"Our members love the app, especially the notifications... Almost everyone who buys a drink at the juice bar uses the app and its handy for letting members know about classes." "Our younger customers being totally mobile, the app has really connected with this age group, who love the app offers, attracting more repeat customers...its great "